If you spend more time than you care to admit shaving, waxing, or using hair removal creams for unwanted hair, there’s an easier way: laser hair removal. 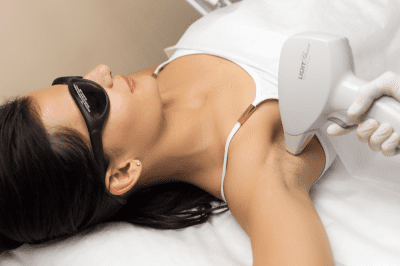 At Fusion Medispa in Odessa, Florida, the experienced medical aesthetic professionals offer the latest in laser hair removal technology for both men and women in the Tampa Bay area who want to be hair-free without the hassle. Call the office or schedule a consultation using the online system so you can treat unwanted facial and body hair for good. Laser hair removal gets rid of unwanted body and facial hair by targeting the pigment in the hair follicle. When the laser or intense pulsed light (IPL) energy reaches your hair follicle, the pigment absorbs the energy and damages the hair follicle. This inhibits future growth of hair by shrinking the follicle and preventing new hair from growing from the damaged follicle. As all the hair follicles in the treatment area are affected by the laser energy, the result is a permanent reduction of hair so you no longer need to shave, wax, tweeze, or use creams to get yourself ready for a day at the beach. Since hair grows in cycles and the laser energy is most effective when hair is in its growth stage, you may need several treatments before all your follicles stop growing new hair. The providers at Fusion Medispa have many years of experience and recommend an ideal number of treatments that will deliver the most hair reduction and the results you desire. The team at Fusion Medispa doesn’t only offer treatment for women, but for men as well. In fact, a good majority of their clientele are men looking to treat unwanted hair whether from the chest, back, underarm, or groin area. The team also offers Candela® GentleLase Pro laser system which is highly effective and works on all skin types. 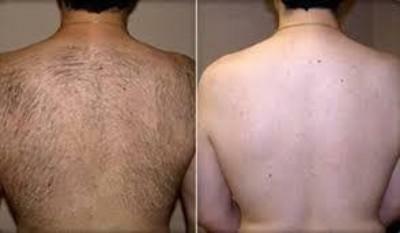 The treatment is safe, comfortable, and powerful for permanently reducing unwanted hair. It depends on the size of the area you’re having treated, but laser hair removal sessions can take just five to 10 minutes for small areas like your chin, upper lip, or cheeks. Small body areas like underarms and bikini area usually take about 10 minutes per treatment, and larger areas like your legs, back, or arms take 30 minutes or more. How long a treatment lasts also depends on how dense your hair growth is in that particular area. The Fusion Medispa team meticulously targets each area with the laser so you get optimal results. When you consider how long it takes and how repetitive it is to shave, laser hair removal is a quick and easy solution. Although it may initially take some time up front, after treatment you won’t have to plan extra time for daily shaving in the shower or during your grooming routine. If you’re ready to be hair-free, call the office or schedule an appointment online today.